From the JK Wrangler to the Brute Double Cab, an AEV Jeep is the stuff of dreams for any off-roader. While any Jeep is the first step in satisfying a need for 4×4 mayhem, the unique rigors of terrain will inevitably call for more. Imagine a vehicle that has been customized with every condition and terrain in mind; consider the ultimate trail-riding experience, free of obstacles. An AEV Jeep might be calling out to you already. While it may be common terminology for any Jeep enthusiast, the more casually interested of buyers may not be familiar with the distinction associated with AEV Jeeps. Once described by Popular Mechanics as “the best Jeep that Jeep doesn’t build,” the inclusion of AEV in any vehicle description denotes the involvement and/or influence of American Expedition Vehicles. Currently celebrating their 20th anniversary, AEV is a fascinating study in inspired business plans. Revered for their innovation, AEV has sought to further enhance the Jeep experience in terms of performance, versatility, resilience, and design. With a combination of custom vehicle modifications and the creation and sale of after-market accessories, AEV operates from the mindset of the enthusiast. From their first prototype (a Jeep TJ with a stretched wheelbase) it was inevitable that someone would take notice. Almost instantly, the groundwork of a lasting relationship between AEV and Jeep had been laid down. 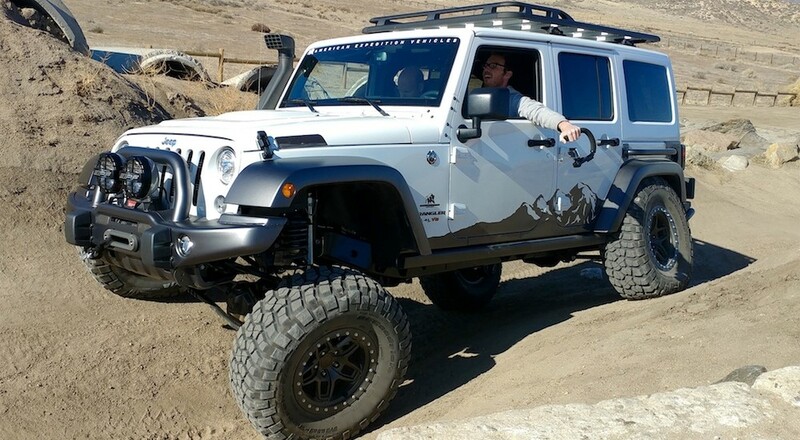 With Jeep engineers taking design cues from AEV in the development of concept vehicles and off-road accessories, AEV gained direct-from-factory access to new inventory for custom mods. The rest (as they say) is history. The result: high-concept and expertly-engineered dual-sport vehicles equally suitable for extreme overland driving, as they are for daily driving. While AEV offers customized builds of the Wranglers, as well as the truck-inspired Brute – the former is the most accessible in-road to an AEV Jeep experience. But how does it differ from a stock Wrangler? While AEV offers a number of after-market accessories to enhance a Wrangler, one of their core distinctions is their steel-stamping capabilities. Creating more resilient product than some forms of traditional steel-folding, AEV creates products that improve overall performance, while adding some on-brand aesthetic appeal. A side-by-side look at a stock Wrangler is quick to drive the comparison. The inclusion of an AEV heat-reduction hood adds an instantly aggressive vibe. Its trademark contours add girth, while the vents infuse both its appearance and performance with a more athletic vibe. Despite the fact that its construction adds weight, the increased air-flow is key in regulating engine temp during all-day off-roading. The front-end is further enhanced with an AEV trademark front bumper. Crafted from stamped steel, it ensures optimal front-end protection. Sitting wide, its design is both sophisticated and rugged. Providing additional light mounts and tow points, it beefs up any profile. Add in the optional skid-plate and Warn winch – it’s ready for any adventure. Around the sides, the wheel lip molding extends further and higher. While creating a wider stance, it also accommodates the adjusted demand of an AEV lift kit with dualsport suspension package. The profile may be further enhanced by the inclusion of an AEV snorkel. While commonly mistaken as a means of keeping the engine free of water (which it is), the snorkel will keep your properly vented engine clean and free from trail dust. Consider the benefit in extreme road conditions, and the assurance of a product that has been road-tested from Anza Borrego to Moab. A walk to the rear of an AEV Wrangler may reveal elements appealing to any Jeep enthusiast. First consider the steel-stamped bumper which offers all the benefits of its front-end counterpart. Not only durable, that bumper doubles as a water tank, allowing for the storage of 4.2 gallons as may be needed during the most extreme overland excursions. Attached to the bumper by a recessed weld is the spare tire mount; an inspired innovation as it distributes the weight directly to the bumper and frame, rather than the rear gate. Not only is this sensible considering the wear on any off-road vehicle, but it prolongs the life of any rear gate, which may not be designed to hold more than a 33” tire. Seated above the tire mount is the fuel caddy, auxiliary fuel storage which can hold an additional 10.2 gallons of fuel. Deliverable by a simple siphon system (included) this innovation may be exactly what you need to extend any adventure, or simply to make sure that you get back to civilization once its done. While these are just some of the enhancement options available, the AEV difference is not limited to the exterior. Why not consider exclusive leather upgrades to your seating, as well as AEV Floor and Cargo Liners to deliver all-weather protection? Association with a partner as distinguished as American Expedition Vehicles is a source of great pride. 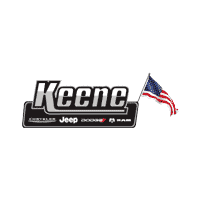 At Keene CDJR, we are only one of three dealerships in New England authorized to sell AEV vehicles, as well as stock AEV parts. If the price tag of a loaded AEV Jeep is what’s keeping you from trading in your current Wrangler, it doesn’t mean that you can’t build one of your own over time. Whether custom-ordered or pulled from the wealth of direct-from-factory AEV accessories in our parts department, Keene CDJR customers can tackle any customization project – with or without us. In fact, our customers receive an added benefit in not being limited to the selection of AEV Jeeps on our lot. As advertised on keenechryslerdodgejeep.com, we can build a custom AEV Jeep in as little as three days, which means that the American Expedition Vehicle of your dreams could be closer to reality than you thought.